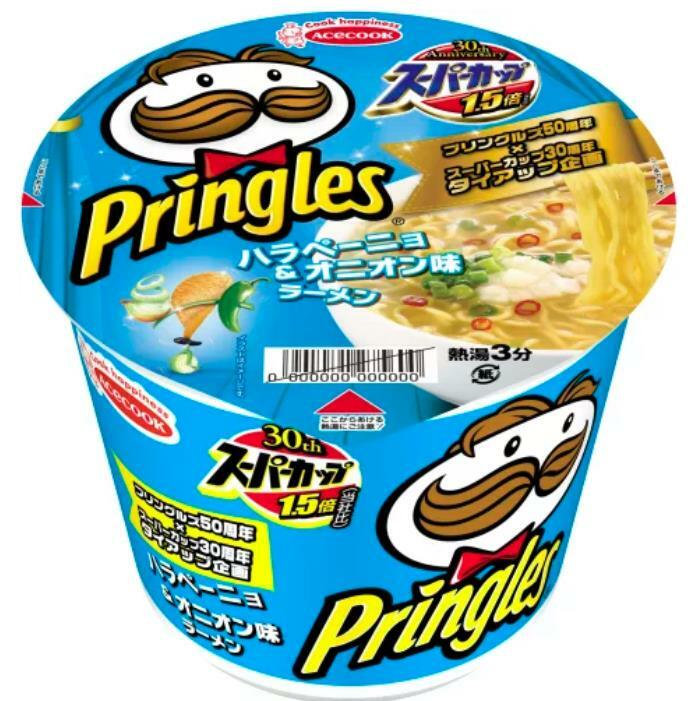 Buzz Pop / Would You Rather: Pringles-Flavored Ramen, Or Ramen-Flavored Pringles? 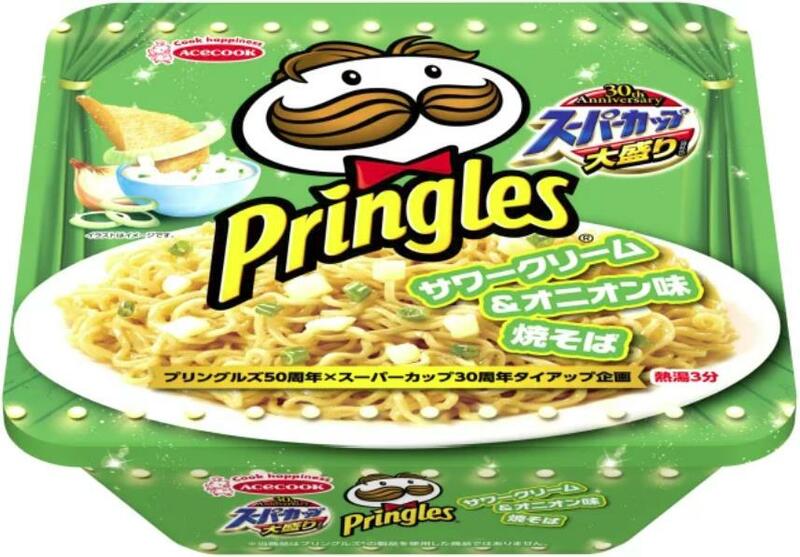 Would You Rather: Pringles-Flavored Ramen, Or Ramen-Flavored Pringles? Do you love Pringles, but hate dealing with that pesky can? Perhaps you’d prefer to eat your Pringles, hot, with a spoon? If that sounds like you, we’ve got great news. 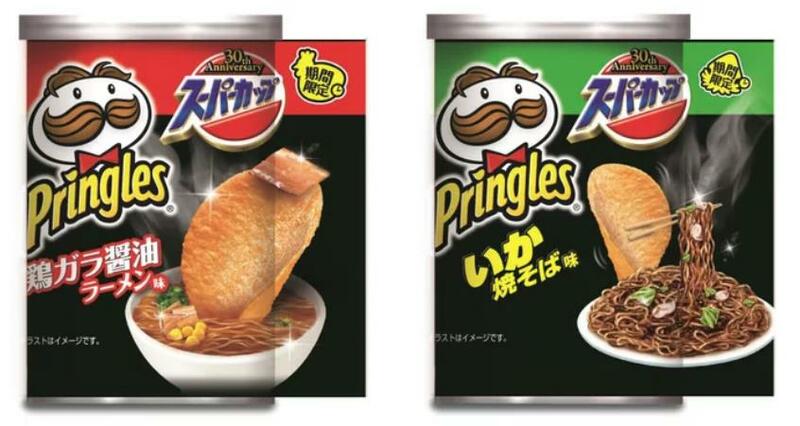 Pringles has teamed up with Japanese Ramen company, Acecook to create a couple of mash-up products that are about to hit the market. Pretty soon, you’ll be able to buy Pringles Sour Cream & Onion flavored fried noodles and Pringles Jalapeño and Onion ramen throughout Japan. However, if you are the opposite type of person, and you’ve always wanted crispy ramen you could eat with your hands, you’ll love the other half of this team up. While Pringles flavors are coming to ramen, it seems that ramen flavors will be coming to Pringles! That’s right, once you pop, you won’t be able to stop snacking on either chicken-bone soy sauce flavored ramen Pringles or squid fried noodle flavored Pringles.